David Gustafson is a lead ranger with the City of Boulder. With city parks, or parks close to cities, problems you see in cities can also spill over into parks. Homelessness is one of those problems. When a park has to deal with a homeless population, you also have to deal with the other problems that come with it; trash, fire danger, drugs, and safety. How can rangers serve the public while also serving the homeless population that finds their way into the park? 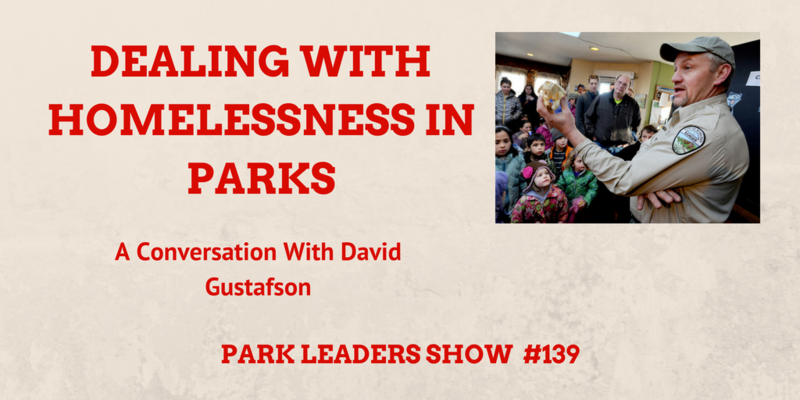 Ranger Gustafson talks about this and more on this episode of the Park Leaders Show.